Mobilise has been helping the people of Brisbane with their musculoskeletal pain for over twelve years. Our Myotherapists and Remedial Therapists are highly qualified and experienced in their respective fields. Learn more about the people caring for your body and wellbeing. Mobilise Remedial Massage was founded in 2006. Twelve years on, Mobilise now specialises in complex and chronic pain management through a massage and myotherapy lense. Owner Kath Phillips’ passion is to establish the practice of hands on, evidence-based, Remedial Massage Therapy and Myotherapy as a recognised and respected option for Allied Health Care in Australia; especially in the field of pain management. Mobilise achieves this by ensuring all our therapists are highly qualified and receive cutting edge training, providing all patients with the best quality hands-on assessment and care for their musculoskeletal condition. Our Myotherapists and Remedial Massage Therapists come from a variety of backgrounds in the field, from working with Sports Teams, GP’s, Physiotherapists, Orthopaedic, Musculoskeletal and Pain Specialists to having adjunct qualifications in Pilates, Personal Training and sports representation. 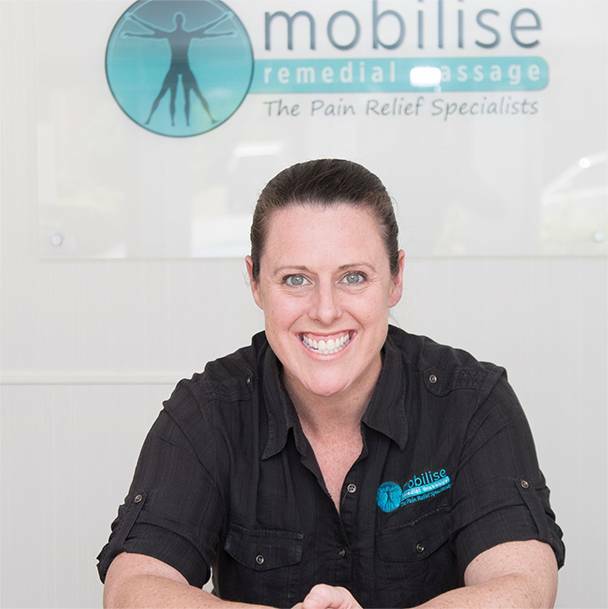 Kath founded Mobilise Remedial Massage in 2006, in Toowong, Brisbane. Kath has many years of experience as a Myotherapist / Musculoskeletal Therapist and Remedial Therapist. She specialises in treating chronic musculoskeletal pain, migraines/headaches, and lower back issues. If your pain is coming from long term work or sport issues, degenerative or neural pain; or you don’t know what is causing your pain, with her extensive experience with assessment and treatment options, Kath can help you. With a sporting background in high level netball, Kath is very experienced in treating athletes. She has worked with many top sports teams, including the QLD Reds, the Australian Women’s Cricket Team, elite Rowers, cyclists and world champion Triathletes. She also works closely with a number of GP’s, physiotherapists and other specialists. Click HERE to book an appointment with Kath today! 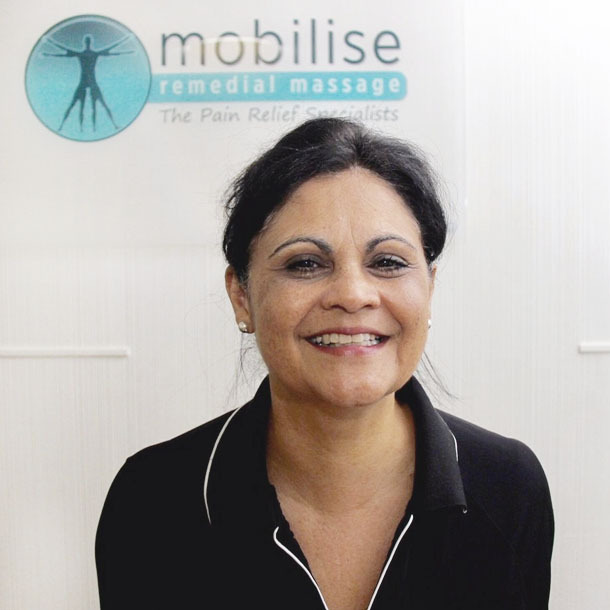 As a Bachelor Degree qualified Musculoskeletal Therapist / Myotherapist and Remedial Massage Therapist, Leslie is an experienced and caring team member at Mobilise Remedial Massage. She can use her many skills in soft tissue release together with trigger point therapy, dry needling, electro needling and gentle mobilisation techniques, METs, PNF, exercise prescription and stretching, to achieve the best outcomes for her clients. Leslie is passionate about the industry of manual therapy and her goal is to assist her clients to achieve great results through a holistic approach to healing. She incorporates techniques to help the client participate in the process of healing through self-mobilisation, rehabilitative exercise and fostering a caring and knowledgeable approach which leads to an overall positive experience. Leslie is happy to provide Remedial and Sports Massage as well as Myotherapy, tailoring the session to meet the needs of the client. Click HERE to book an appointment with Leslie today!